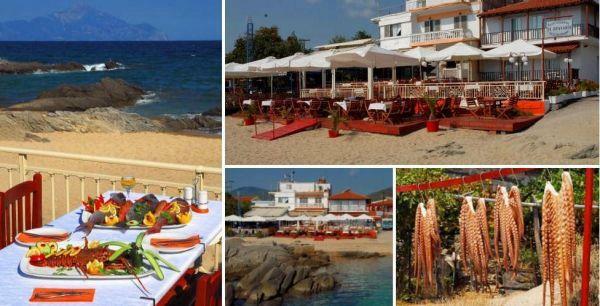 Sarti is a coastal village in Halkidiki with many taverns by the sea, a tourist destination that offers many gastronomic options with local Mediterranean cuisine, seafood and grilled meat. 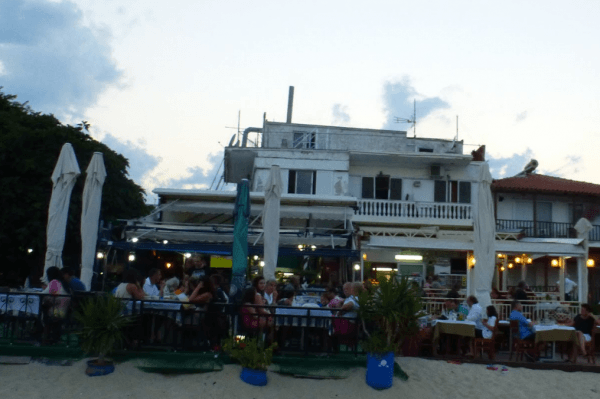 In the pedestrian zone in the center of Sarti you will find the tavern "Sea" with round and time grilled wait you in a small but beautiful place. 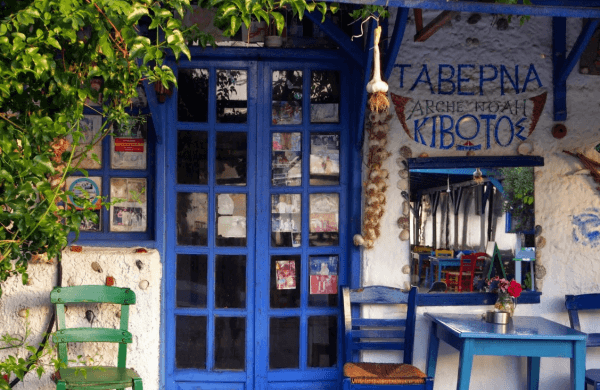 On the coastal road you will find the tavern Stavros with mussels fried, grilled mussels, grilled octopus, squid stuffed grilled, smoked mackerel, sardines grilled. 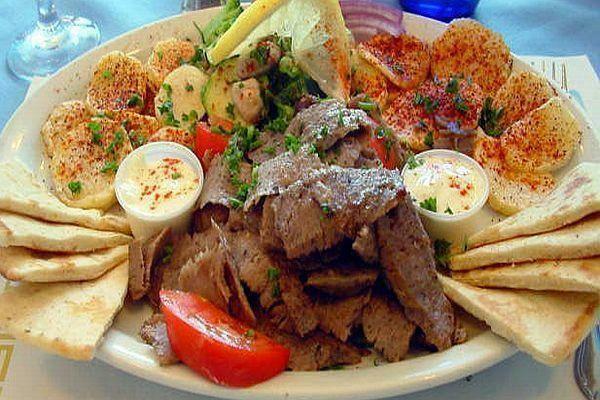 Elegant environment and delicious food. By the sea a tavern with wonderful views and good food. 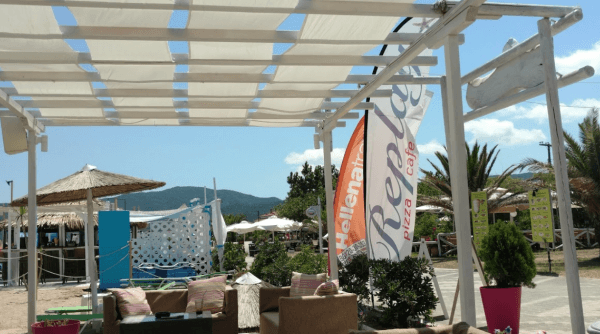 Kotsaris tavern in Sarti Halkidikis. 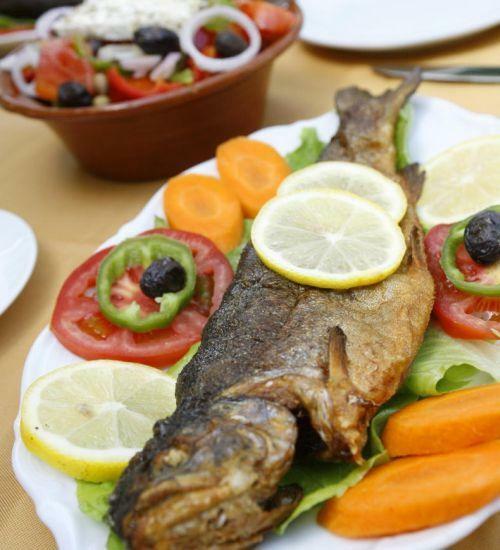 The tavern Vrahakia offers since 1981 a wide range of fresh fish from the private aquarium. There is a kitchen has all 30 kinds of food production, with fresh and top quality materials. 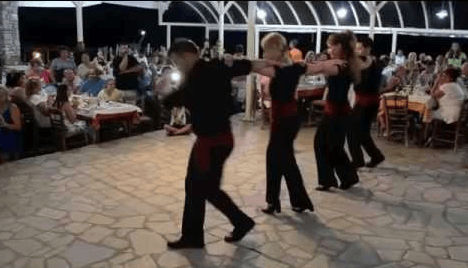 One more tavern from family business named Theano.Specializing in grilled and spits the food here is a treat.Do not miss every Thursday the Greek evening, amazing atmosphere in a beautiful and elegant environment. 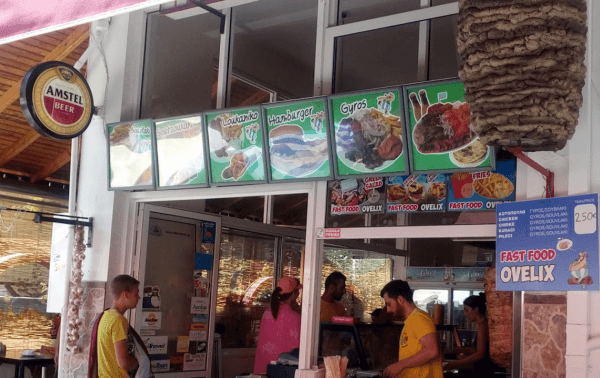 In the streets of Sarti you will meet Obelix with tables on the sidewalk and gyros grilling.